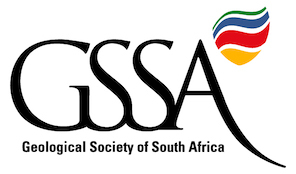 About Us: The Geological Society of South Africa (the GSSA) was established on the 4th of February 1895 and is one of the oldest scientific societies in South Africa. It is a society that exists for geologists and earth scientists with an interest in Africa, and southern Africa in particular, and has over 2 500 members and student members. The GSSA caters for everyone who is eligible for membership regardless of their level of professional development. The GSSA is opposed to any discrimination and a portfolio exists within its Council to transform the Society to one that is truly representative of all the people of southern Africa. GSSA’s members are drawn from professional sectors within academia, government, business and industry. Members are required to comply with the GSSA Code of Ethics, which is aligned with similar international codes to promote ethical and professional conduct of all practitioners. The GSSA aims to stimulate the study of earth sciences and to look after the interests of earth scientists by providing forums and events where geologists and members from related disciplines can meet and share ideas on advances in the science, emerging technology, and new geological models and ideas. These forums include meetings, workshops and conferences. In addition, the Society has a specific division, the Directorate of Professional Programmes (DPP) which organises specialist courses for members and non-members. Recently these courses have included Drilling for Geologists, Structural Geology and Competent Person’s Reporting. The Research, Education and Investment (REI) Fund is a pool of research funds managed by the GSSA. Grants are made available annually to members to help cover the costs of research, publication of results, travel and conference attendance. The Council for Geoscience and the GSSA are responsible for the dissemination of information related to geology and related earth sciences in southern Africa. This information includes news of individuals and organisations in the profession, relevant events that affect geologists and other interested individuals, and earth sciences papers with an emphasis on Africa or topics which may impact African geology. Scientific papers are published in the South African Journal of Geology, which ensures that peer reviewed papers of international standard relevant to southern African earth sciences are published. The journal’s impact factor has improved steadily over the years and it is now ranked as number 21 out of 42 international earth science journals. General news and information are disseminated through the Society’s quarterly Geobulletin and in regular newsletters. A number of consultants, earth science service providers, and equipment suppliers with strong local knowledge and extensive experience in Africa routinely advertise in Geobulletin. In addition, the GSSA supports publication of scientific and general interest books and review papers through its communications arm. An online recording scheme for a Continuing Professional Development Programme (CDP) has been developed by the GSSA. It is in line with the SACNASP brief to support geology professionals to continue to grow in their field of expertise. This online scheme is still being tested and should be fully operational in 2015. The Society supports a number of geographically diverse branches, specialist divisions and interest groups. Links to these can be found on the website. Branches include Egoli (Gauteng), Western Cape, University of Fort Hare, Kwazulu-Natal, Bushveld, Barberton, University of the Orange Free State, Limpopo and University of Venda. Specialist divisions or interest groups include the Geoscience Educators Association of South Africa (GEA), Ground Water Division (GWD), Mineralogical Association of South Africa (MINSA) and the Tectonics Division (T-Dogs). GSSA has strong links to the South African Institute for Mining and Metallurgy (SAIMM), the Geophysical Association of South Africa (SAGA), the Geostatistical Association of Southern Africa (GASA), and the Fossil Fuels Foundation (FFF). Internationally GSSA has well-established links with numerous international associations, including the American Association of Petroleum Geologists (AAPG), the Geological Society of America (GSA), and the Society of Economic Geologists (SEG). The GSSA has been closely involved with the development of the South African codes for reporting of exploration results, mineral resources and reserves (SAMREC), and mineral asset valuation (SAMVAL). The Society will continue to be engaged in these efforts through their representation on the SAMREC/SAMVAL Committee (SSC). As a not-for-profit, public benefit association, the GSSA strives to serve the wider public interest as well as the professional membership. Included in these public initiatives is a focus on geoheritage, geotourism and outreach education – issues clearly important to the public at large. The GSSA is governed by its Council, Management Committee (MANCO) and the Executive Office which is located in the Chamber of Mines building in Hollard Street in downtown Johannesburg. Queries on earth science topics, membership or the GSSA can be directed to info@www.gssa.org.za .